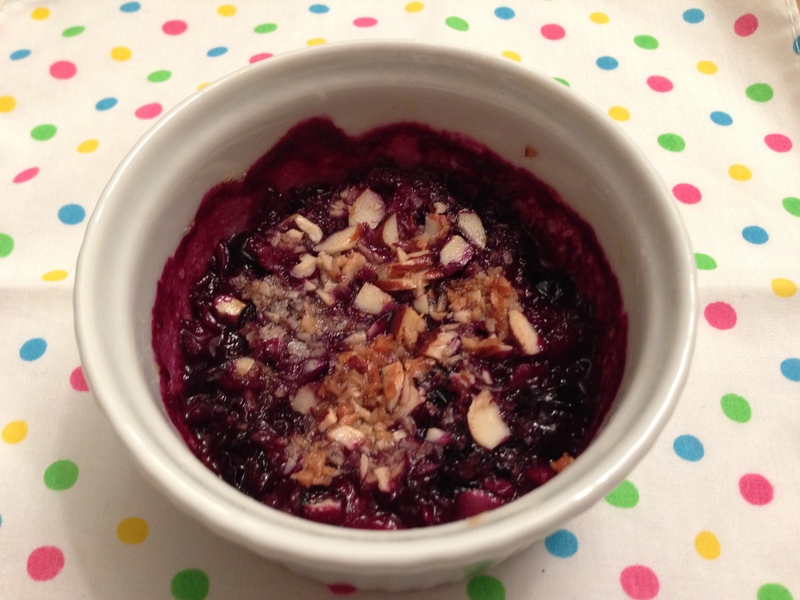 blueberry crumble | what is clara eating today? mix the filling ingredients together and spoon into the dish. mix all the topping ingredients together and rub the butter in with your hand. sprinkle over the blueberry mixture. preheat oven to 350. Bake for 15 mintues, or until the topping is golden brown and blueberries are bubbling. let it cool a little. serve warm. it’s great served chilled too.